Tiffany Cloud is the hostess of Storm Politics on WYLN in Hazelton which has become one of my favorite public affairs programs on TV. She also wrote the great book Sleeping with Dog Tags . The thing about Tiffany is that she welcomes all comers and has a great discussion with people she disagrees with that doesn't turn into a talking head shouting match like you see on the cable news channels. In the latest episode she handed out the Lightening Bolt Awards. Cloud, Storm, Lightening the weather metaphors are endless. May I suggest the Snow Job Awards for next year. The winner is Yasue Bengali, a Japanese immigrant to the US who recently became a citizen and explains how great this county is as only an immigrant could. The honorable mentions of other people who have appeared on her show is a mix of Democratic and Republican office holders plus those that will be elected in the future or never at all. Some Bolts went out to Aaron Kaufer, Matt Cartwright, Tarah Toohil, Stefanie Salavantis and Lou Barletta.Young Republicans Bob Zaruta and Jen Rinehamer and Young Dem Thom Shibula along with the happiest man I know, Casey Evans. In December of last year I was her guest on Storm Politics and David Yonki has also been on the program and we came in 9th. I think she gives us too much credit for the election results but I'll take it. To answer her question of why anyone would push the liberal agenda in these economic times is simple. Austerity doesn't work. You don't cut spending when the economy is down and if anything the government's goal should be to get the unemployment rate down to 4%. The US government is borrowing money right now at a negative interest rate when you factor in inflation. Borrow more and put people to work! She said the conservatives are being outsmarted by these 2 lovers of the left. Hah! The highlight of this clip is at the 2 minute mark. The Luzerne County 6th District Republican Committee has an end of the year party tomorrow. This should be the kickoff event of the 2013 local elections. There are 4 seats on the Wilkes-Barre Area School Board up for election next year and candidates can cross file so this would be a good event for any prospective Republican or Democratic hopeful to attend. County wide there are 5 spots up on the County Council with 2 Republican incumbents and Controller Walter Griffith is running for reelection. Plains Township will be electing 2 Commissioners. 6TH DISTRICT REPUBLICAN END OF YEAR HO-HO-HOLIDAY SOCIAL ! 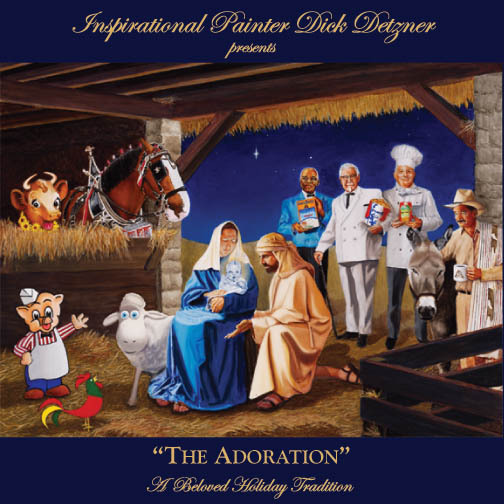 Enjoy Holiday music and a good home cooked meal ! ! ! 150 Watson St., Wilkes-Barre Twp., PA.
Somewhere down the line the Don Wilkenson Agency got renamed Centax after the passage of Act 32 in 2009 which mandated that each county hire a single tax collector for it’s numerous municipalities by 2012. That seemed sensible enough until millions of dollars came up missing and Centax-Wilkenson went belly up. This was a top down mandate from Harrisburg with little input from the local municipalities and wasn't even tested in a few counties to see how it would work before imposing it on the whole state. Many local governments in Luzerne County and across Pennsylvania are now short of cash because they have not received the taxes owed to them that were collected by Centax but have disappeared into to some sort of legal limbo black hole. Wilkes-Barre is owed $1.9 million and the locals are howling because cuts to services and a big tax increase to make up for the shortfall. Small towns like Butler Twp. are owed $50,000 and even that low tax haven of Wilkes-Barre Township had to pass a tax increase because they were burned for $500,000. They tell us that Berkheimer has taken over from Wilkenson and will make everybody whole somehow, someway, someday. I've never understood why there there is this Balkanized tax collection system for local governments and the point of Act 32 was to consolidate some of it. Real Estate taxes are collected by local Tax Collectors which is an anachronism and private companies are hired to performed what is a government function. In this day of technology it couldn't be that hard for the taxing bodies to send out a bill with a return envelope or an option to pay online. Most jurisdictions could absorb the workload or hire a clerk or two to handle it without paying an outside company. The big question is where did the money go? In a story by Elizabeth Skrapkis in the CV the lawyer representing Wilkenson wants the records destroyed because there is no money to pay for storage. 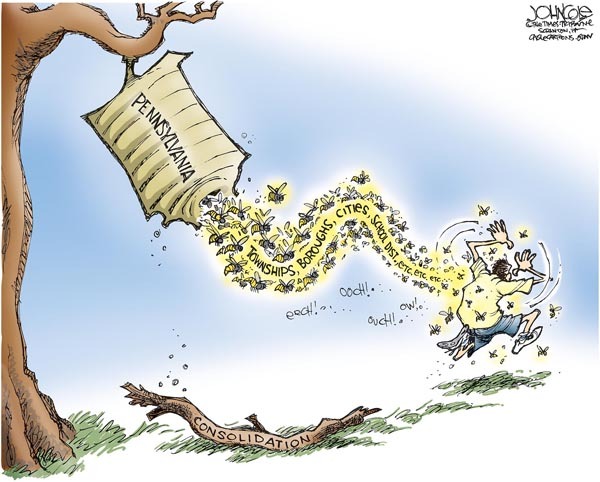 To paraphrase the Bard "Something is rotten in the state of Pennsylvania." At least $9 million is missing in Luzerne County and much more across the state, where the hell is the Attorney General and/or the Auditor General in this? I'm not one to make unfounded accusations unlike the commenter's on the TL & CV websites but this sounds like an attempt to destroy evidence. Mr. Cordaro please convince me that I'm wrong. Please accept without obligation, express or implied, these best wishes for an environmentally safe, socially responsible, low stress, non addictive, and gender neutral celebration of the winter solstice holiday as practiced within the most enjoyable traditions of the religious persuasion of your choice (but with respect for the religious or secular persuasions and/or traditions of others, or for their choice not to practice religious or secular traditions at all) and further for a fiscally successful, personally fulfilling, and medically uncomplicated onset of the generally accepted calendar year (including, but not limited to, the Christian calendar, but not without due respect for the calendars of choice of other cultures). The preceding wishes are extended without regard to the race, creed, color, age, physical ability, religious faith, choice of computer platform, or sexual preference of the wishee(s). A message from Sue Henry: I am going to make Christmas fun again with some alt tunes on WRKC at 3 today. It's all for you!!!!! CHRISTMAS IS JUST NOT FUN ANYMORE!!!!!! Well, here we go again with the stupid holiday of Christmas. Don’t get me wrong, I’m not knockin’ the birth of good ol’ Jesus, but the things that I have to go through this time each year. Damn!!!!!!!! Of course, it’s just not one day either; I have to put up with my stupid family not just on Christmas Day but also on Christmas Eve----two days of Hell!!! I would rather be back in the heat of the Battle of the Bulge than to go through these next two days (and that wasn’t no picnic!). Of course on that night my dimwit hippie sons and their useless wives will flop themselves in my living room along with their demented kids. Which only means that instead of a relaxing evening watching Wheel of Fortune and Murder She Wrote with the great Angela Lansbury (now that’s a “lady”!) I’ll probably be forced to look at some stupid rapper Christmas special because my grandkids are in charge of their parents. Damn!!!!! Not to mention to add more misery my stupid brother in law John will be arriving with his “friend”, Hal. These two funny boys should just go and get married already since President Obama said it’s OK!!!!!!!! In my day, Christmas was different. Don’t get me wrong, we celebrated Christmas Eve and the blessed day also, but everything was more polite and not too extravagant. Christmas Eve usually involved Mom lugging us all to Mass. For some reason Pops always seemed to have a bad cold that night but had his trusty bottle of Seagram’s to medicate himself. But before we did that ol’ Pops and me would go out into the woods and cut down a tree for the house. I remember one Christmas when Pops was just a bit way too medicated to go “tree hunting” as he called it, the responsibility was in my 10 year old hands. I remember it was a windy night combined with heavy snow/sleet. I could still feel the sleet stinging my face like needles and pins as I trekked up the hill to find a good tree. It was so bad that I just took the hatchet to the first tree I found and dragged it home. 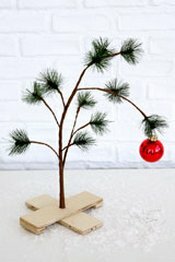 When I got into the house, Pops blew his top screaming that the tree I chose wasn’t good enough for a bordello let alone a good Christian home. He dragged me and the tree out to the front porch and flung me to the icy/cold sidewalk screaming that I had better get my tail back to the woods and find a decent tree. After about an hour and a half I finally found a tree I figured Pops would like but it didn’t matter anyhow because when I got back to the house he was sleeping off his medication. Nevertheless, Mom, me and my dumb brother Skip decorated the tree and a nice Christmas Eve was had by all. 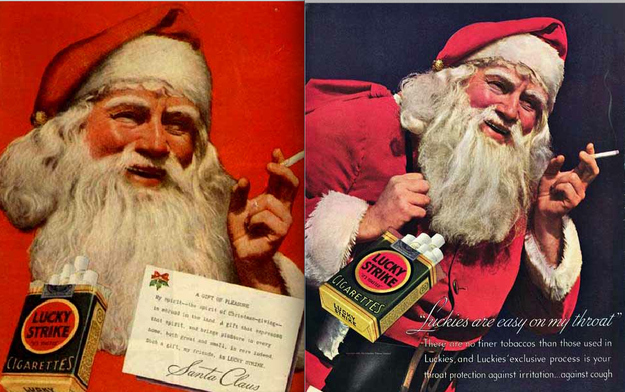 I’ll say one thing about ol’ Pops, he certainly made Christmas interesting—you never knew what you were gonna get. He could be either Santa or Scrooge both with a little Joe Louis thrown in for good measure---he was one of a kind and a real man. I miss him a lot. Kid just don’t respect adults anymore. And God help you if you don’t give them the load of expensive presents!! All we ever got on Christmas morning was a tangerine and some socks---and it was great!!!!! Try giving that to a runt today!!!!!!! Damn, I hate it all!!!! So all you dimwit Commies have a nice Christmas holiday. Maybe you can send Hugo Chavez and Fidel Castro each a nice get well Christmas Card. As for me, I will be in my trusty attic smoking a Lucky (the cigarette that went to war), swigging a Steg and listening to the soothing sounds of Jerry Vale singing, “Home for the Holidays”. Hell, maybe I’ll even invite my pals Creep, Gummo and Skeets over. Merry Christmas. I hate you all!!!!!!!!!!!!!!!!!!!!!! When I studied Music Pathology under Professor Schickele at the University of Southern North Dakota at Hoople he taught me that classical music is the easiest to parody because you had a couple of hundred years to think of the jokes. These guys learned that lesson. Without uttering a word they make you laugh. I found out about the shooting at Newtown, Connecticut in the mid-morning, that Friday, when I was in a foreign policy briefing. U.S. Rep.-elect Elizabeth Esty, the excellent new Congresswoman for the district in which Newtown is located, was sitting next to me. She took the call on her mobile phone. I saw the look on her face. She was stricken. It’s hard to know when the right time is to shift from mournful comments about the tragic loss of lives, and the terrible toll taken on the families. It’s hard to know when it’s all right to start talking about how it could have been prevented or at least how it could have been prevented from being as bad as it was. The problem is that people will feel that it’s not right to try to score political points out of a horrible situation like this. I don’t want to make points about politics. I want to make a point about law. The most important principle about making laws is that they should promote good and avoid evil. St. Thomas Aquinas, in his best-known work, the Summa Theologica, wrote of the natural law, “this is the first precept of the law, that good is to be done, and promoted, and evil is to be avoided. All other precepts of the natural law are based on this.” He wrote that in 1274. If ever there was a clear presentation of the contrast between good and evil, it appeared in Newtown, Connecticut, on December 14, 2012. The goodness, the innocence, of 6- and 7-year old boys and girls, full of fun, eager to learn, and excited to be together, would never be questioned. Whatever it was that possessed their killer, whatever psychosis invaded his brain, whatever mental turmoil it was that drove Adam Lanza to kill that day, it was evil. And what he actually did, with a Bushmaster AR-15, inside that elementary school, was pure evil. No one doubts it. The question is, how is this kind of evil to be avoided? Can we make laws to help avoid this kind of unspeakable evil? The answer is, yes, we can. We can enact laws that restrict the purchase and sale of semi-automatic assault rifles. We can enact laws that restrict the purchase and sale of high-capacity ammunition magazines. We can do this, and it is legal. It has been done before. Between 1994 and 2004 we had an assault rifle ban in our country. Prominent members of the law enforcement community supported the ban. The nation did not dissolve. The Constitution did not disintegrate. The sky did not fall. Banning assault rifles like the Bushmaster AR-15 used on the Sandy Hook children would not cure the evil that drove Adam Lanza to kill. But it would make it more difficult for him to kill. In killing 27 people, Lanza is reported to have fired as many as three hundred rounds, pumping as many as 11 bullets into each victim. Lanza was using equipment that made him an efficient child-killing machine. This kind of firepower is not necessary for hunting, or self-defense. Our American experience has showed us example after example of assault rifles and high capacity clips being used in mass killings of innocent people. What we never hear about are instances of these weapons being used in self-defense, which is the point of the Second Amendment. We also never hear about assault rifles being taken hunting. No self-respecting deer hunter would even consider firing a dozen bullets at a buck. I announced my support for an assault rifle ban in July, after the Aurora shooting. I urge you to contact your elected officials to express your support for bans on assault rifles and high-capacity ammunition magazines. How many more innocent schoolchildren have to die before we find the courage to enact laws that will actually help us avoid this kind of evil? 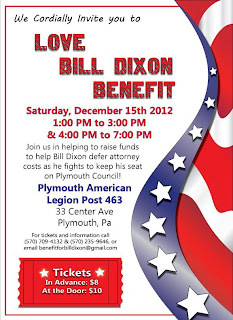 Over the weekend it was announced that the DA won't pursue the removal of Plymouth Councilman Bill Dixon. That came as bad news to Borough Coordinator Joe Mazur after he got the council to hire a $200/hr. lawyer to get rid of him because of state charges that have been pardoned by the Governor but there is a federal conviction that has not been pardoned, yet. Jim Haggerty is working on that. Mazur said he is required to draw up a budget proposal and make it available for public review for 10 days before council votes on it, but not to provide copies. “He’s not deprived of it,” Mazur said. “He’s a councilman; he can sit there and look at it all day." This is so petty that it makes me laugh. It would infuriate me if I was a resident of Plymouth. How hard is it to make some copies? Madrack told me that Mazur is living in the 1950's. Mazur said "But to put it out on the street, we would run into so many problems that you can never get a budget done.”I don't think he has heard of the internet or a Xerox machine. There seems to be some bad blood between Madrack and Mazur that I picked up from this story in CV by Michael Sisak last month: Mazur blamed Madrack for the divisiveness on the council, but scoffed when asked whether the borough should be investigating Madrack instead. "Who the hell cares about him?" Mazur said. A job in the street department has come open and Madrack want's it advertised in the local papers but Mazur said he already had a stack of applications. People tell me that Joe Mazur is an expert on job applications. He has recommended many applicants for positions as a member of the Wyoming Valley West School Board. The split of the revenue from slot machines at Mohegan Sun is 55% to the state and 45% to the casino. Much less goes to the state from table games. 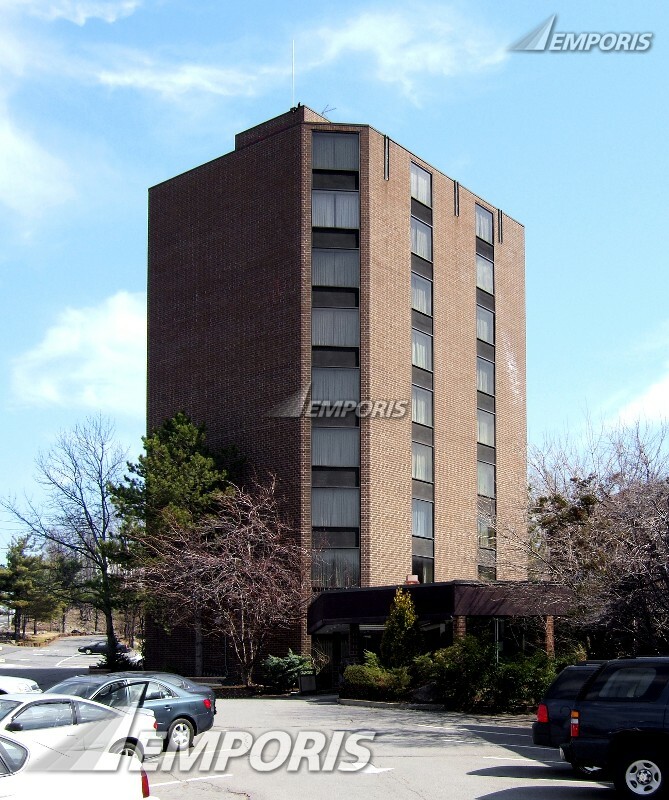 Only 34% is earmarked for school property tax relief which is the reason this was sold to us. Wilkes-Barre Area taxpayers have seen a reduction of about $200 a year since this started. The host communities get a cut off the top to pay for increased police costs, etc but there are 2 other pools of money. 12% is dedicated to the dying horse racing industry and there is pot of gold that local governments can apply for. In past years the Plains Township Commissioners have applied to kick back $3 million to Mohegan to clean up the East Side Landfill so they could pave the parking lot and The Commonwealth Financing Authority approved it. Now the board of Bridgette Murray O'Connor, Ciro Cinti, Ron Fillipini, Joe Yozwiak and Robert Sax has unanimously approved an application by The Woodlands to grab a piece of the pie. According to this story in the TL by Andrew Seder the Woodlands management will be knocking down cottages on the Woodlands property just north of the hotel and conference center’s building along Route 315. In their place would be built a multilevel building with commercial/office space on the lower floors and apartments on the upper floors. It's a $40 million project that not been even put on the drawing board yet let alone submitted for zoning or other approval. The Kornfelds did not return phone calls from Andrew or me. (Disclaimer: I once worked for the Kornfelds). I have a novel idea. If the Kornfleds want to expand/upgrade their business they should go to a bank and apply for a loan. In 2013 there will be 2 spots up on the board of the Plains Commissioners. The incumbents are Robert Sax and Jerry Woziak. What was billed as a benefit to offset Plymouth Council member Bill Dixon's legal bills turned into a celebration when his lawyer announced that the DA had declined to get involved in the case. MC Scott Cannon thanked the people that put together the event and introduced Bill. He was almost speechless. He thanked everybody and choked up when he thanked his wife saying she "is the reason I am the man I am today." I know the feeling. Jim Haggerty delivered the good news and the crowd erupted in applause. The challenge to Dixon was engineered by Joe Mazur who is a past Luzerne County Democratic Chairman but now has been reduced to trying to run a little town of 6000 people. He is not doing it well. Plymouth Council member Cliff Madrack ripped into Mazur. "He thinks he is in the 1950's. He want's to be the boss. It's easier to say come along instead of do what I say." No, not because of Global Warming but because I got a new snow blower. Mrs. G bought me a new machine for XMAS and Santa delivered it early. My friends tell me that by buying it I have inoculated us against blizzards this year and I hope they are right. Last year there was very little snow and maybe we will lucky 2 years in a row. If not, I'm prepared. My pal Zen and the salesman tell me that this beast will actually throw slush. I hope they are right since I live on a corner and get plowed in all the time. It's an old joke but I swear the plows lurk around the corner until I'm finished clearing the snow then push it back onto my sidewalk. My trusty assistant blessed it by lifting his leg. I look forward to throwing the snow 40 feet to bury him while he is barking at me. In a letter to Attorney Jim Haggerty Luzerne County District Attorney Stefanie Salavanits said she will not seek the removal of Bill Dixon from Plymouth Borough Council. 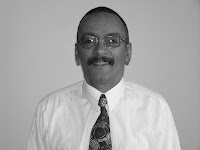 "Obviously, since it has been confirmed to my office that Mr. Dixon has been pardoned as described herein by Governor Corbett, we have determined that it would be imprudent for this office to pursue Mr. Dixon's removal from his elected position as member of the Plymouth Borough Council via Quo Warranto action. Preliminarily, I note that in cases where a citizen was duly elected by the electorate (rather than appointed), it has been the policy of this office not to interfere with the will of the voters. We presume the voters make a knowing and informed choice in choosing their representative and therefore, it is not the intent of this office to be used as a political pawn by those unhappy with the candidate's victory, nor to supersede the voters' choice by unseating an elected official thereby. " The good news in this TL story for the people in my little burgh of Plains Township is that our property taxes will not go up. The question is why aren't they being reduced as promised. Being the host community of the Mohegan Sun Casino Plains get's a cut off the top for putting up with the place to cover extra police costs, etc. We have seen some benefits such as reduced garbage fees and more roads paved. Rapid Edward (Gov Rendell) sold Casino gambling as a way of reducing school property taxes but only half the revenue goes to to that worthy goal. There is another pot of money for the health, safety and economic development projects in those counties where the casinos are located. In the past the Plains Twp Board of Commissioners have kicked backed a million dollars a year to the Casino to pave the parking lot that is located on top of the old East Side Landfill neglecting other needs such as purchasing a new ladder truck for the fire department. Kevin Blaum documented that a few years ago. Such nonsense, we are supposed to make money off the place not subsidize it. Sure enough, there was an application on DCED’s list for $5 million, half the amount available, to remove garbage from Mohegan Sun land to enlarge its parking lot. Obviously Mohegan is capable of paying for its own paving and garbage removal. Yet this project survived DCED’s initial cut (an official act) while many projects in other communities did not. It’s important to note that a casino may not apply for this money. If it did, it would be laughed out of town. ...To end-run this prohibition, the application was submitted by none other than Plains Township (an official act). This application, if approved, would return $5 million to Mohegan Sun at the expense of other municipalities that need these funds. Why would anyone do such a thing? Follow the money. Now they are at it again. The township is serving as sponsor for expansion projects for the Woodlands Inn & Resort and Geisinger Wyoming Valley. Board President Ron Filippini described the government sponsorship of the grant applications for private entities as economic measures intended to spur job creation. That's it, no details of what the projects are or how many jobs they are going to create. How do you measure this? It sounds like more corporate welfare. Giving money to the Woodlands ???? Really? The Woodlands is a kids bar that keeps our police very busy defeating the purpose of having this extra money. How many stabbings , shootings, acts of vandalism and other displays of beer muscles have there been over the years? The place is in the police blotter all the time. Similar incidents at other establishments in other parts of the Wyoming Valley have resulted in the places being shut down as nuisance bars. The Pennsylvania Turnpike Commission is an organization that has been knocked for years as being a dumping ground for politicians who can't find another patronage job for their cronies. Fair criticism or not you have to ask why there are 2 organizations governing the highway system in Pennsylvania. A PennDot official has just been named to be the CEO and Auditor General Jack Wagner released an audit showing 7,000 employees and contractors have a free pass. A commenter at KeystonePolitics brings up the point that construction workers need to get to the job site so that number may be inflated. Maybe they should carpool. John Micek reports that toll booths will become a thing of the past with all electronic tracking. If you have an EZPass that already happens but if you don't the system will take a picture of the license plate and send you a bill. Good luck collecting that bill. In the near future we will be paying more tolls and the interchanges will be automated. 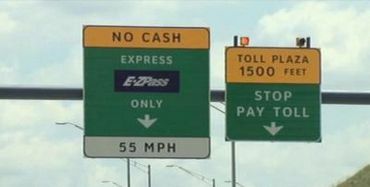 For now I love blowing past the schmucks stopping to pay the the toll while I fly by in the EZPass lane on my way to Allentown, Philly or the Delaware beaches. On a related note just about everybody agrees that our highway infrastructure is in need of repair. 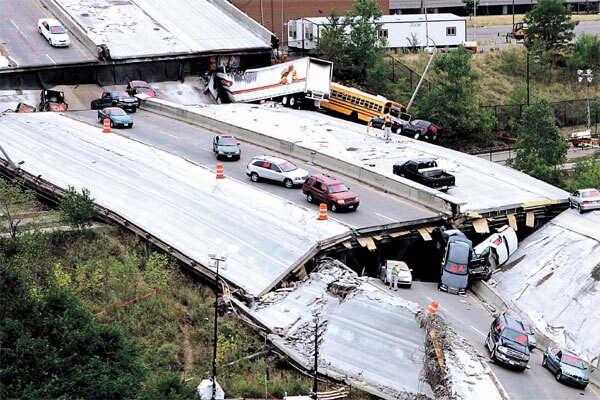 Roads need to be fixed and bridges are not safe. The federal gas tax has not been raised since Clinton was President and it is the primary funding source for highway improvement and repair. I know it's regressive but I look at it as more of a user fee. I drive and I want my roads and bridges to be safe. I'm willing to pay 10, 15 or 25 cents more for a gallon of gas in exchange for the piece of mind that the bridge I'm driving across won't collapse. Another idea is an Infrastructure Bank. Reading the tea leaves of PoliticsPA reporting of the Pennsylvania Society meetup in New York this past weekend it looks like about 37 people are floating the the idea of running for Governor of Pennsylvania. Montgomery County Commissioner Bruce Castor said he was thinking of primary challenge to Tom Corbett. He is the only Republican name thrown out there so far other than the usual cranks. 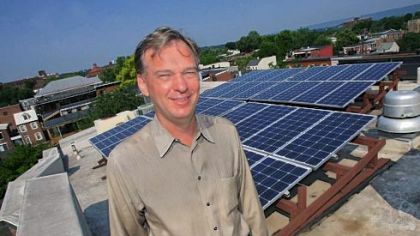 Democrat John Hanger has already declared that he is the race .Bob Casey and Allyson Schwartz are not. Former Congresswoman Kathy Dahlkemper and PA State Senator Mike Stack said they are looking at the race. PA Treasurer Rob McCord will will be a candidate and possibly Joe Sestak and Patrick Murphy. More to come. A couple events caught my eye. I wasn't invited and that makes me sad. I'm the biggest non supporter of Lou in these parts who actually likes the guy. I'll buy him dinner at Dominick's Cafe. The rumor is that the Mean Old Man and Professor Milburn Cleaver, OPA made it to this gathering. The best roundup of the PA Society weekend came from my 2nd favorite state legislator (Phyllis is still in the lead) Daylin Leach. = I’m running for Governor, but not of Pennsylvania. = I’m running for Congress. = I’m running for the Bundestag. = Pat Toomey has asked me to be his Vice-Senator. 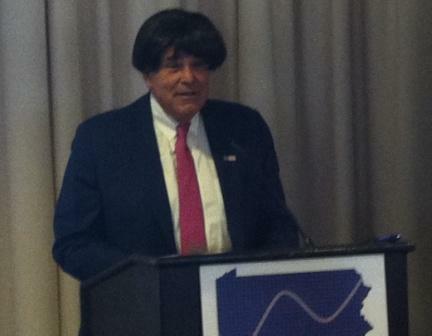 = Governor Corbett calls me his ‘little minx’”. = I once shot a man in Reno, just to watch him die. = My CIA nick-name is “Danger Hunk”. 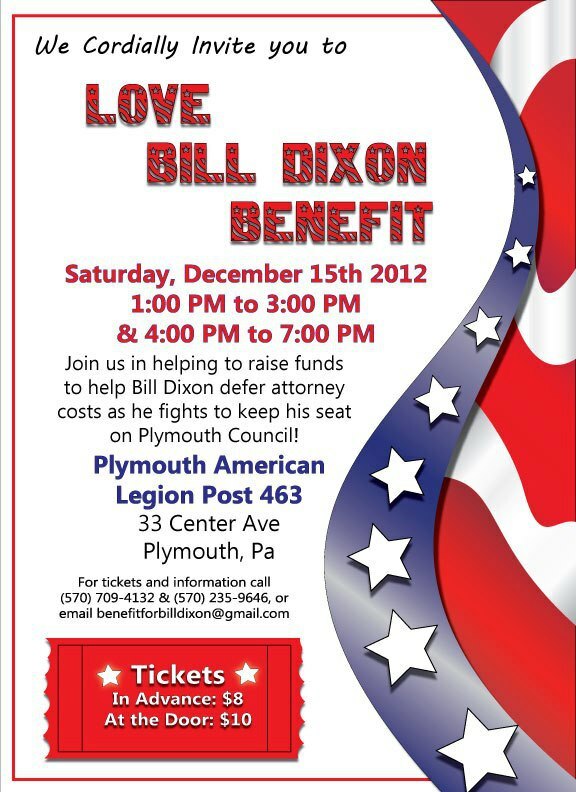 Plymouth Councilman Bill Dixon is taking fire because he committed some crimes many years ago and his neighbors are planning a show of support. This is a clear example of our punitive laws being so destructive. From all the accounts Dixon went to Vietnam in the service of his country and had a hard time when he came home and did some stupid things for which he was punished. Since then he has been a model citizen CV: Dixon and his wife, Janet, raised two children in the borough. 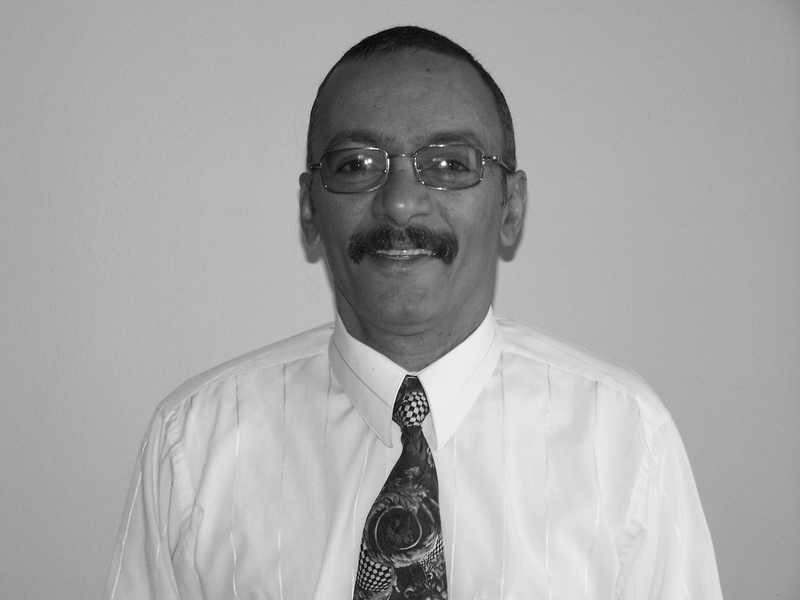 He has worked in substation maintenance for UGI, the regional electric utility, for the last 25 years. He has coached youth sports in the community for more than two decades. A year after he was elected as top vote getter in 2011 the Plymouth Borough Coordinator Joe Mazur decided to make an issue of his past. We all remember Mazur for his eloquence when he was the Luzerne County Democratic Chairman and said Register of Wills Dotty Stankovic was "a cancer within the organization. " He was also gleeful" when Petrilla defeated incumbent Controller Steve Flood in the 2005 primary. The DA or Attorney General could remove him from office but it looks like they will pass on getting into the weeds of Plymouth politics. The Examiner is all over this story. Many of my friends are having fun with the fact that Senator Mitch McConnell filibustered his own bill. It just shows how screwed up the Senate has become with his mindless obstruction. In December 1970 Dirk sued Stig and Nasty, Barry sued Dirk, Nasty sued Stig and Barry, and Stig sued himself accidentally. The 114th annual Pennsylvania Society get together is being held this weekend in midtown Manhattan. There are many black tie invitation only high priced events for the politically connected who get to rub elbows with a gaggle of possible candidates for Governor in 2014. If you can't make it to New York there is another event in Harrisburg that sounds like fun. (Harrisburg, PA) The 8th Annual People's Society Dinner will take place in the East Wing Rotunda on Friday, December 7th. Starting at 3 p.m. a table will be set for the eight former legislators who are currently serving time for their abuses of the Pennsylvania taxpayer. The individual pictures will be prominently featured. “Instead of being served at a dinner, each is serving time for their crimes against the Pennsylvania taxpayer,” said Eric Epstein of Rock the Capital. The People's Society Dinner has taken place every year since 2005. It was started in response to the Pennsylvania Society Dinner which is taking place this weekend in New York City. The reorganization meeting of the Wilkes-Barre Area School Board was anything but organized according to the story by Peter Cameron in the Citizens Voice with 2 breaks for executive sessions and Christine Katsock calling the meeting illegal. Former Coughlin HS teacher and sports coach John Quinn was elected President and Barbara Youngblood Louis Elmy as VP. The Secret Service was interested in Quinn's son a few months ago according to the TL. You have to wonder who would even want the job of school director in Wilkes-Barre. It doesn't pay anything and you get a lot of grief in the local papers after you hire a relative for a position. Or maybe that's it. This is a body that has seen 3 members convicted of corruption. Jim Height, Brian Dunn and Frank Pizzella. After Pizzella was indicted he was elected as board President with the support of former reformer Christine Katsock . If there is any government body in Luzerne County that needs to change it's public persona it's this one but that doesn't seem to faze this bunch much. They made a hash of hiring a new superintendent and the new hiring policy is a joke. Four seats are up in the upcoming election in May. The incumbents are Christine Katsock, Lynn Evans, Phil Latinski and Bob Corcoran. I haven't heard if any of them will seek reelection. Katsock ran for many offices as a Republican reformer before she finally a spot on the school board. She came within 800 votes of defeating Wilkes-Barre Mayor Tom Leighton in 2003 and gave State Rep Eddie Day Pashinski a run for his money in 2006. She switched to the Democrats when she ran for the board and had no comment when asked to explain her vote for Pizzella but it's not hard to figure out if you look at her Campaign Finance Report. Frank Pizzella was her top cash contributor pitching in $3000. She also got $1800 as a in-kind contribution from the Friends of Frank Pizzella. Evans voted against Pizella and the new super and revealed the pick system of filling jobs. Pure Bunkum has a couple of insightful posts about this subject. Seeing a poll result like this makes me worry about my country. Raleigh, N.C. – PPP's first post election national poll finds that Republicans are taking the results pretty hard...and also declining in numbers. Some GOP voters are so unhappy with the outcome that they no longer care to be a part of the United States. 25% of Republicans say they would like their state to secede from the union compared to 56% who want to stay and 19% who aren't sure. ACORN, The New Black Panther Party, Somalians in Ohio, black people voting in Maine, Zero votes for Romney in Philly and Tinkie Winkie fixed the election for President Obama. Sheesh, you guys lost so get over it. 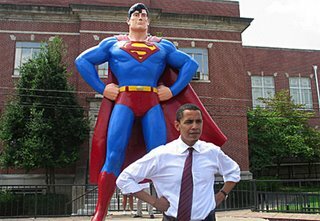 No, he is not Superman. Wake up Republicans. Get out of your echo chamber. Republican State Sen. Dominic Pileggi (pictured at right) is at it again. Last year he proposed that PA award its Electoral College votes by Congressional Districts that was predictably was opposed by Democrats and actually freaked out many Republicans. So his new idea is to divvy it up proportionally. PoliticsPA: But instead of determining the votes by congressional district, they would be allocated according to percentage of the popular vote, plus two for the statewide winner. His Memo: Under the proportional system, two of Pennsylvania’s 20 electors are chosen on a statewide, at-large basis (representing the two senatorial electors). The remaining 18 electors are chosen based on the percentage of the statewide vote earned by each candidate (rounded to the thousandths). For example, President Obama won 52.088% of the vote in November. Under this system, he would have received 12 of Pennsylvania’s 20 electors (the two statewide electors plus 10 of the 18 remaining electors, which would be distributed proportionately). This doesn't work unless you can get the rest of country to adopt the same system. State Senator Daylin Leach tweeted: How about when Texas does it too? 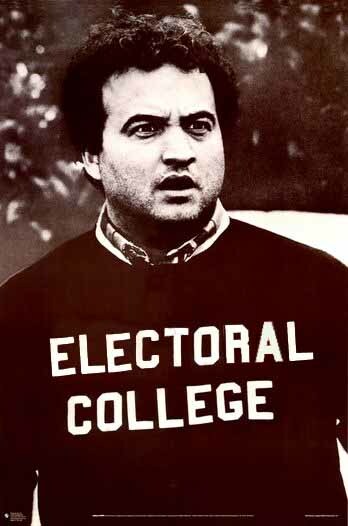 The Constitution leaves it up to the states to decide how to cast their electoral votes so the next proposal from Harrisburg might be to skip the election altogether and let the legislature decide the Electoral College votes. Phyllis on the lottery: If it ain't broke don't fix it. Riffing on my earlier post State Rep Phyllis Mundy and 17 other PA House Democrats sent a letter to Gov. Tom Cabot Corbett to forget about his plan to privatize the Pennsylvania Lottery. NCFE defends this form of voluntary taxation that has been successful. In the end, why screw this up? HARRISBURG, Dec. 3 – State Rep. Phyllis Mundy joined 17 other House Democrats in signing a letter that urges Gov. Tom Corbett to drop his plans to privatize the Pennsylvania Lottery. "The Pennsylvania Lottery is a proven, well-run program that last fiscal year made more than $1 billion for programs to help our seniors, such as the Property Tax Rent/Rebate Program and Pennsylvania's low-cost prescription drug programs for older adults, PACE and PACENET," Mundy said. "The system isn't broken, and we don't need to take unnecessary risks with it." The letter notes that the Pennsylvania Lottery is one of the most successful and well managed state lotteries in the nation, with administrative costs of just over 2 percent. Just one company, United Kingdom-based Camelot Group, has submitted an offer to run the Pennsylvania Lottery. Camelot Group has conceded the Pennsylvania Lottery is presently well-run. "So our question for you is, 'Why are you trying so hard to privatize a successful government program and, in the process, hand over millions in administrative fees to a third party manager?'" reads the letter, which was delivered to Corbett's office today. Mundy pointed out that Camelot would get a cut of the lottery profits and have its operating expenses paid, including salaries for its executives, by the commonwealth. Just two states – Illinois and Indiana – have privately run lotteries. Illinois awarded a contract to Northstar Lottery Group, a partnership between GTECH and Scientific Games. Northstar has fallen short of the $825 million it promised Illinois officials, and the company has taken the state to court to try to change terms of its contract. Mundy said the Illinois' problems show why Corbett should not rush to privatize the lottery here. "There's too much at stake," Mundy said. "The lottery generates important revenue for our older Pennsylvanians, and it's too risky to outsource it to a foreign company." Mundy added the lottery-funded programs are particularly important in Luzerne County, where people 65 and older make up nearly 18 percent of the population. Camelot Global Services’ bid to manage the state Lottery will expire on Dec. 31. This contract would lock the commonwealth into an agreement for 20 years, long after Gov. Corbett is gone. No, not that guy but a real one. MC: Hanger, a naturalized U.S. citizen, was born in Kenya, where his farmer father worked for the British Foreign Service helping develop coffee and tea farms. The family moved to Ireland in 1963, and Hanger came to the United States in 1970. Actually he was born a subject of Queen Elizabeth, God save her. So Donald Trump doesn't have to worry about him running for President. I like some of his policy positions. I know that some of my anti-fracking friends don't trust him. This is what he had to say on his blog. I'm not backing any 2014 Guv candidate until I hear from Joe Sestak and Patrick Murphy. He has a get together scheduled next weekend at the Pennsylvania Society shindig in NYC. The 43rd floor would probably give me a nose bleed.